HA NOI (VNS) — Free trade agreements (FTAs) between Viet Nam and the Eurasian Economic Union, the Republic of Korea (RoK) and the European Union (EU) will be signed in 2015. This was announced by the Minister of Industry and Trade, Vu Huy Hoang, at a conference held in Ha Noi on Thursday. Hoang said the FTA between Viet Nam and the EU was likely to be inked in June, while the agreement with the Eurasian Economic Union of Russia, Belarus and Kazakhstan might fructify at the end of May or in June at the latest. Viet Nam and the RoK intend to sign a trade agreement on May 5. Negotiations on the Regional Comprehensive Economic Partnership (RCEP) agreement are also expected to conclude by the end of this year, the minister said, adding that his ministry was preparing to begin negotiations on another FTA with Israel. Speaking at the conference, Deputy Prime Minister Vu Van Ninh, who is also the Head of the Inter-sector Steering Committee for Economic International Integration, requested ministries and sectors involved to speed up the integration process. He also pointed out several shortcomings, including weak coordination in the steering committee and between relevant offices, ineffective communication, and a lack of activity among enterprises and localities. The Deputy Minister of Industry and Trade Tran Quoc Khanh, who is also the Government delegation's head and in-charge of economic and trade agreement negotiations, said differences in the ministry's point of view on several specific issues would hinder the negotiation process. Delegates to the conference suggested renewing communication activities by directly disseminating the effects of economic integration in each sector and on each product to local people and enterprises. 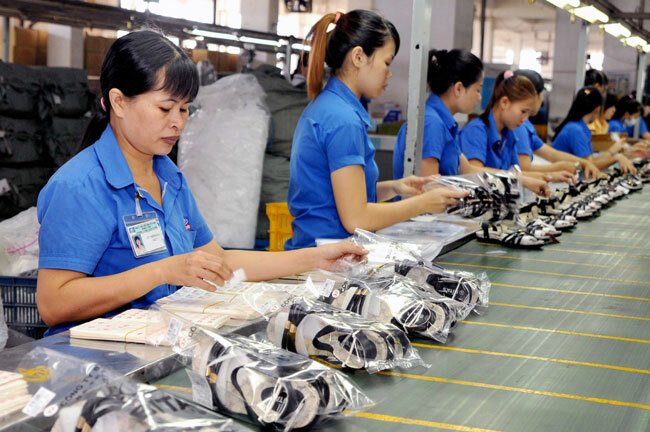 Vietnamese enterprises need to work together to seize opportunities and overcome challenges that will arise from existing and future free trade agreements, economic experts said at a conference held in HCM City yesterday. Viet Nam has signed and is negotiating several free trade agreements, including the Trans-Pacific Partnership, EU-Viet Nam FTA and Viet Nam-Korea FTA, which will bring great opportunities for domestic firms but more challenges, according to senior economist Le Dang Doanh. The EU-Viet Nam FTA, which is expected to sign this year, will help increase Viet Nam's exports to the EU bloc by 30-40 per cent. Exports of many kinds of Vietnamese goods, particularly textiles and garments, are expected to see a strong increase after the TPP is signed. "But opportunities will not come automatically," he noted. Businesses must be more proactive in taking advantage of lower tariffs and take part in the value chain of companies involved in TPP, he said. But the higher requirements related to product origin, sanitary and phytosanitary standards, environmental protection and others under the TPP will be challenges for local firms, according to the economist. In addition, technical barriers to trade on labels, packages, chemical residue and legality of materials will pose other challenges. Local pig, pork and beef industries, most of which have small-scale production, will find it difficult competing with other TPP countries. Regarding the ASEAN Economic Community, Doanh said it would usher in free movement of goods, services and skilled labour, as well as a freer flow of capital. The reduction of tariffs on goods among ASEAN members would enable Vietnamese firms to boost exports as well as participate in the global production chain, he said. But on the other hand, they would also face fierce competition in both domestic and international markets. To become stronger, he urged local firms to join a consortium and establish production chains that involve enterprises, farmers, banks and research institutes. Firms should also focus on investing in human resources and technology, and use IT in their operations. Luong Van Tu, former head of the Viet Nam's WTO negotiation team and chairman of the Viet Nam Coffee and Cocoa Association, said TPP would offer both opportunities and challenges for local firms, requiring the latter to enhance co-operation and use each other's products. Many foreign investors had increased investment in Viet Nam to take advantage of changes brought from TPP, he said. Many Japanese and EU companies had gradually taken their investment out of China and transferred it to Viet Nam.